Monitors are the window to your computer’s contents. A good monitor (also known as a screen) can make your computing time easier on your eyes. The crisper the image, the more impressive the display of your vacation photos or that video of your last golf game will be. Size: Monitors for the average laptop user come in several sizes, from tiny 9-inch screens on smaller laptops to 28-inch screens on desktop replacement models. Laptops with larger screens are typically more expensive. A laptop with a larger monitor takes up more space on your desk than a laptop with a smaller monitor. Image quality: The quality can vary greatly. You will see terms such as LCD (liquid crystal display; also referred to as flat panel), flat screen, brightness, and resolution. Look for a laptop with an LCD monitor, preferably with a screen that reduces glare. Resolution: A monitor’s resolution represents the number of pixels that form the images you see on the screen. The higher the resolution, the crisper the image. 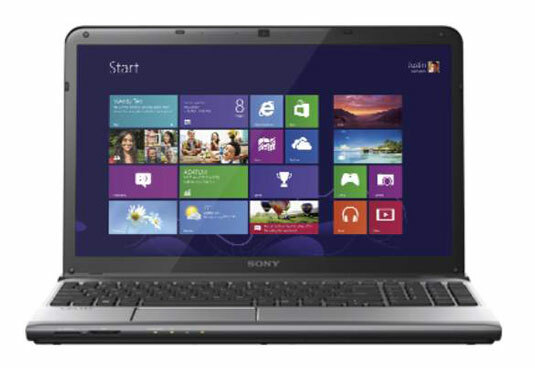 You should look for a laptop that can provide at least a 1,024 x 768 pixel resolution. Touchscreen technology: Windows 8.1 provides support for using a touchscreen interface, which allows you to use your fingers to provide input by tapping or swiping on the screen. If you opt for a touchscreen device, you can still use your keyboard and mouse, but touchscreen technology can add a wow factor when performing tasks such as using painting software, browsing the web, or flipping the pages in an e-book.